Are you tired of the blogging hamster wheel? I know I was. I was so tired of working all the time on the aspects of blogging that I didn’t like. I was so tired of it that I stopped. I jumped off the blogging hamster wheel. From there, The Authentic Blog Project was born. Read to the end to learn how you can get The Authentic Blog Project for 50% off by joining my FREE crash email course on authentic blogging. Authentic blogging is a revolution that offers freedom. It’s about breaking from the algorithms, SEO, and “what you should do.” It allows you to be yourself and spread your message when and how you want. When I embarked on The Authentic Blog Project I found that I had more time to blog authentically because I was spending less time inflating my traffic and social media impact. Turns out my audience and advertisers love authenticity. My sponsored post rate increased and my blog income has roughly stayed the same all while I’m working less and creating content that I truly love. Brands come to me offering me money for sponsored work because they love what they see. When I stopped pretending to be someone I wasn’t, brands that I actually wanted to work with noticed me. It’s amazing what can happen when you allow yourself to be seen for who you are instead of trying to fit into a mold of who you think you should be as a blogger. 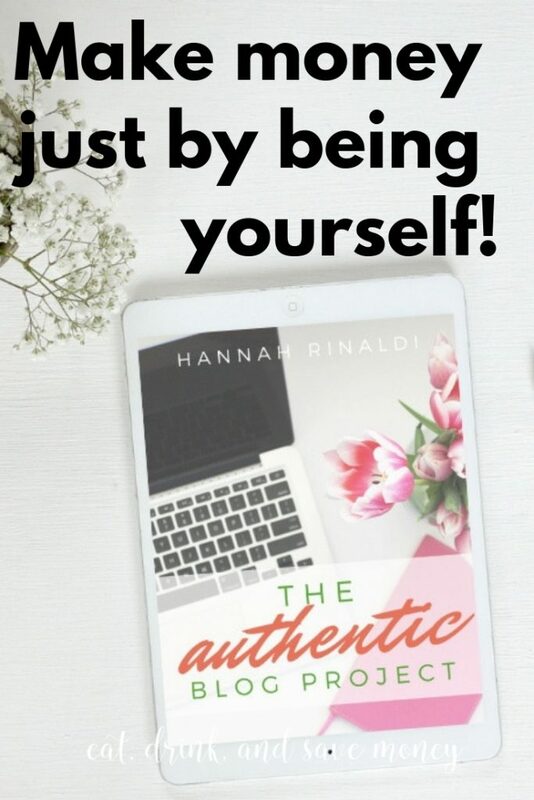 The Authentic Blog Project was Written Just for YOU! I had an aha moment when I realized that you might be in the same boat that I was in a year ago. You might feel like you are on the blogging hamster wheel, and you can’t get off. You might feel like you have to do certain things in order to stay relevant in your niche. I wrote this book for you. I want to let you know that you don’t have to do what every other blogger is telling you to do. All you have to do as a blogger is authentically share your voice with your audience. The Authentic Blog Project is available now! Click here to buy it! The Authentic Blog Project is part memoir part how-to. I originally wrote this ebook solely to offer a step by step guide for writing authentic blog and social media posts. As I battled my way through my own journey towards authenticity and worthiness, I realized that I’ve gained a lot of insight from this transformation that I want to share with you. You’ll find a list of mistakes that I’ve made that have threatened my own authenticity and the steps I made to correct them. You’ll also learn about the authors and influencers who have encouraged me to embrace the chaos of life instead of pretending like everything is perfect on social media. Even though I get personal in this book, I didn’t forget to give you a set of steps that can help you on your own Authentic Blog Project. If you follow these steps, you’ll be able to use your unique voice to share amazing content with your followers in a way that will have brands begging to work with you. This book will help you break the mold by capitalizing on your unique genius. I’m sharing the eleven steps I use to create authentic blog content that not only makes my audience happy, but also has brands reaching out to me directly to provide paid content. I’m not just talking about getting free products for review or paying to go on a “bloggers only elite event.” Nope, I’m telling you how to receive paid work just by being yourself. 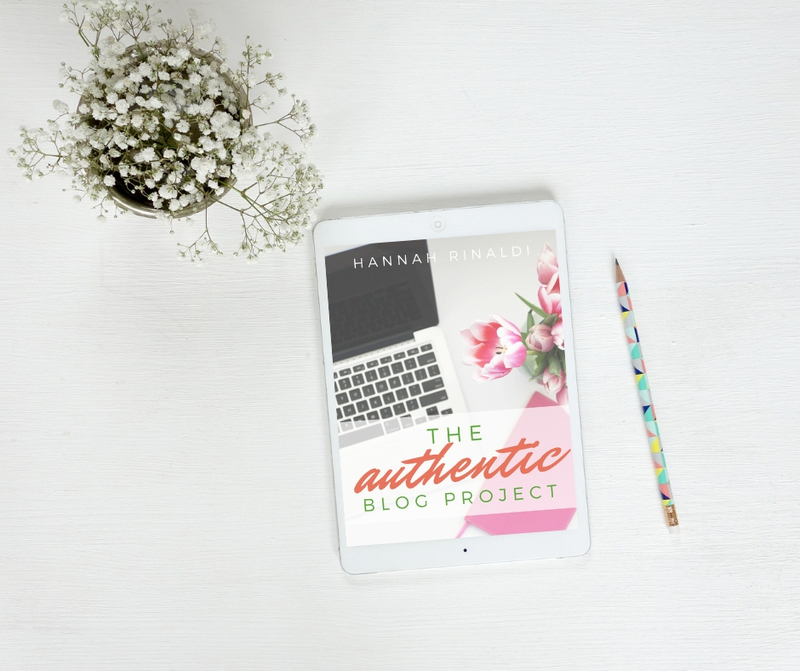 Sign up to be a part of The Authentic Blog Project and get a FREE mini email crash course teaching you everything you need to know about blogging authentically. As a thank you, you will get 50% off your copy of The Authentic Blog Project!